This Belleek teapot features the basket weave design and is further enhanced with hand painted green shamrocks along with embellished handles. The traditional Belleek teapot measures 10" wide x 5 1/2" tall and holds 35 ounces; it is made of fine china. 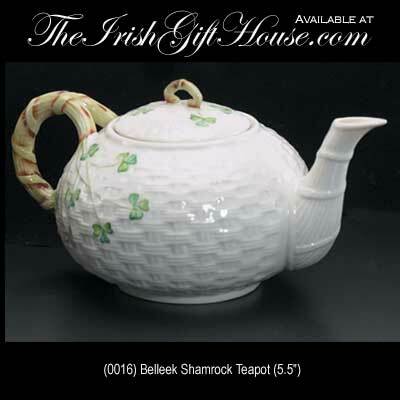 The Belleek China teapot is safe to use in the dishwasher and microwave oven.